Victorians celebrated holidays in familiar, and not-so-familiar, ways as we do today. I wrote a lengthy and encompassing blog about Victorians Celebrating Easter last year. An Easter gift of a broken egg shell? Really? The Oshkosh Northwestern of Oshkosh, Wisconsin on March 28, 1896. Interesting, isn't it? Here's another that caught me off guard. 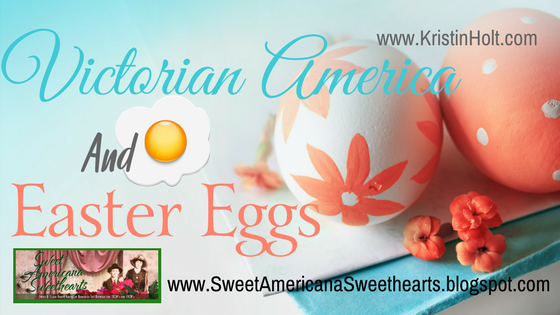 Did you know our Victorian American ancestors had Egg Roasts (some kind of supper party) for Easter? The Columbus Weekly Advocate of Columbus, Kansas on April 18, 1901. Were Easter Eggs judged? I don't know. Black Hills Weekly Pioneer of Deadwood, South Dakota, April 3, 1880. A newspaper article from 1890 shares more Victorian and pre-Victorian Era Easter Egg traditions. Articles such as this, explaining the history of holidays, events, occasions, and observances were common in Victorian newspapers. Kansas Farmer of Topeka, Kansas, June 11, 1890. Part 1. Kansas Farmer of Topeka, Kansas, June 11, 1890. Part 2. Kansas Farmer of Topeka, Kansas, June 11, 1890. Part 3. Kansas Farmer of Topeka, Kansas, June 11, 1890. Part 4. And there you have it! 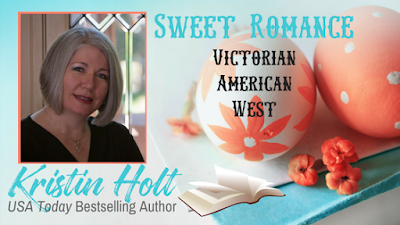 Victorian Easter Eggs--as calling cards (actually, a gift for Easter), a party meal, and the history of the Easter Egg as presented to Victorian Americans. What do you think about today's Easter Egg traditions? Thanks, Margie. I'm glad you enjoyed this Victorian view of Easter Eggs. 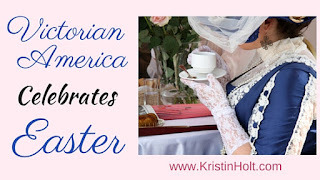 Our shared love of Victorian-era history is a fun connection. Thanks for stopping by. The covers are stunning ! Donkeys, Burros, and Mules ~ Oh My! Oh dear! What shall I do with my hair?